Leo Charles Reilly credits his finance background and business education to his “strong analytical toolkit,” but his unwavering work ethic is courtesy of a New Jersey upbringing. “I think that growing up working with my father, who is a carpenter, has given me a blue-collar work ethic that has been invaluable during my career,” he says. After graduating from the University of Pennsylvania, Reilly worked for four years in New York City in various investment banking and principal-investing capacities. 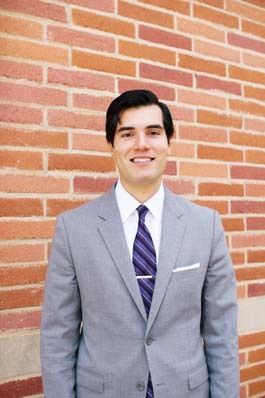 He recently joined Moelis & Company in Los Angeles as an associate. I love the pace, excitement, and analytical nature of doing deals. Accordingly, I would like to find myself in a leadership role that allows me to function in a deal-making capacity. Hopefully, this would allow me to transact with the business leaders of Los Angeles shaping the economic landscape of the region. Being in and around mergers and acquisitions is something I aspire to do going forward. I find the consumer and media sectors particularly interesting. I don’t have an individual role model per se, but I definitely look towards individuals with similar backgrounds that are able to apply common sense, individuality, and strong work ethic to contribute meaningfully to their field. Such folks seem to successfully allow their interests to manifest themselves in new paths later in their careers. Rick Rubin and Howard Marks come to mind as having taken such a path. I think that doing something I love to do—and doing [it] on the highest level, whereby the transactions and business being conducted would influence the greater economic climate—would be success.